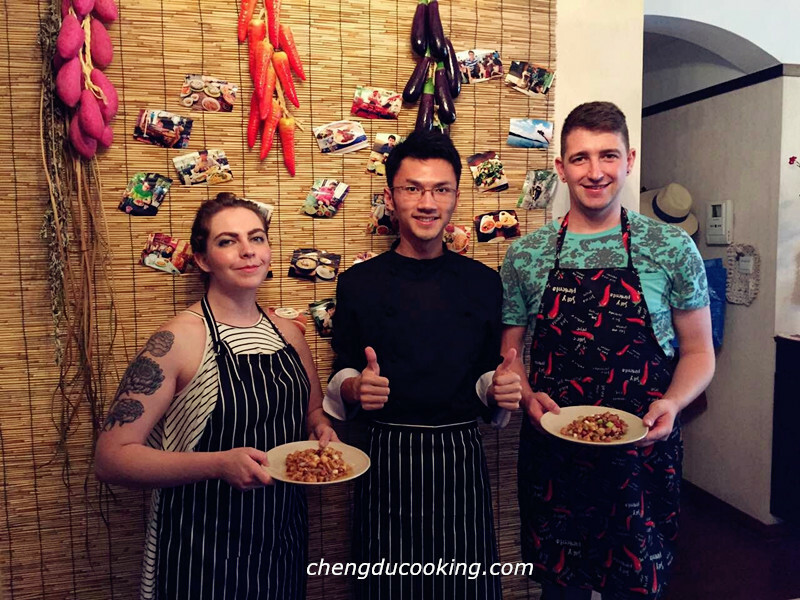 Chengdu Cooking is very lucky to have two distinguished guests Clio Goodman and Aaron Gallentine from the United States on this Saturday. Both of them are very experienced chefs. Clio Goodman, grew up in a cooking family,is a very famous pastry chef and ran a famous bakery named Puddin’ by Clio in New York, which was even reported by New York Times.At the very beginning, Clio was a private chef. She started to make pudding just by an occasional request from her employer. 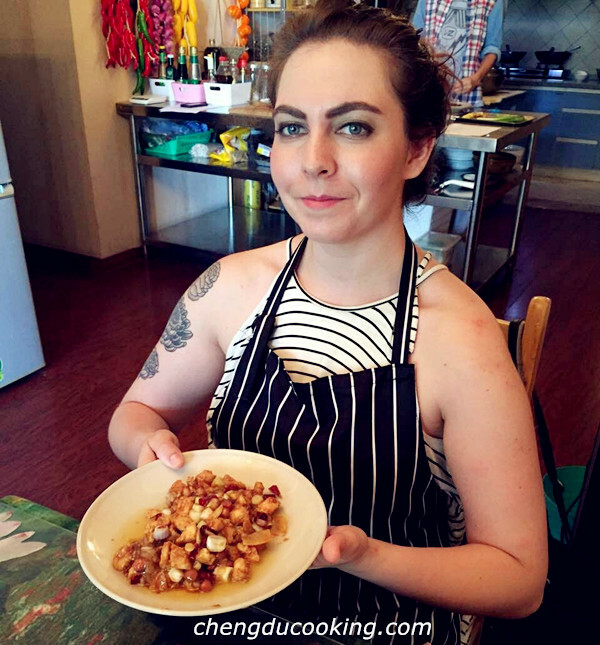 After her first successful shot, Clio started her Pudding Chef career and achieved big success. Aaron Gallentine has been studying Chinese in Fu Dan University and Zhe Jiang University for 4 years, thus he can speak perfect Chinese. 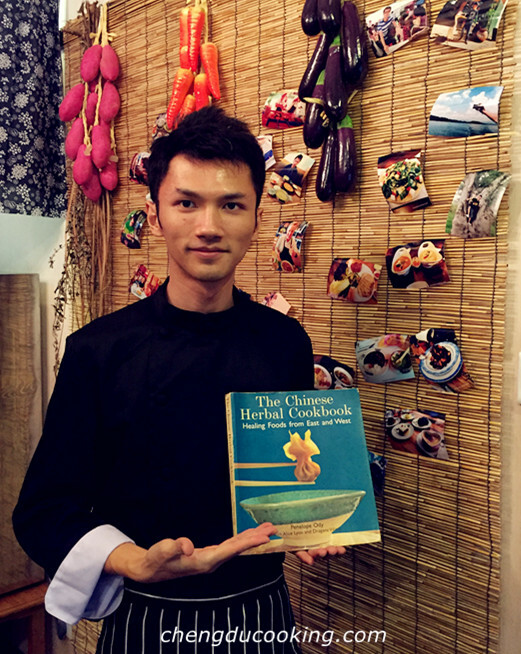 After learning Chinese, he moved to Chengdu and spent 1 more year here to learn cooking Sichuan cuisines. He is such a big fan of Sichuan dishes that he just only eats Sichuan dishes other than the regular American food after moving back. Now he is managing a Chinese restaurant of Cantonese food in New York. Aaron is so amazing not only because he can speak perfect mandarin and Cantonese, but also he can cook Sichuan Dishes and Cantonese Dishes very well. 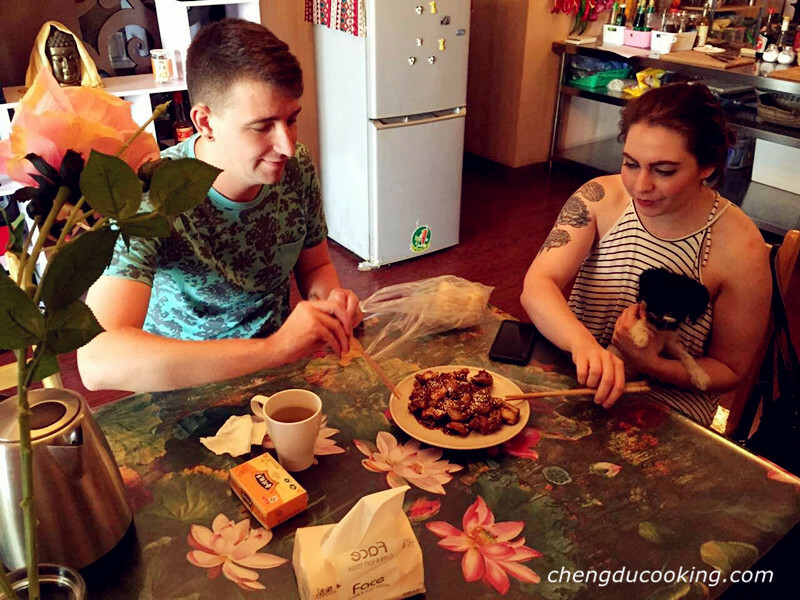 Although Clio has tasted many Chinese dishes before, but she never got such a chance to cook Chinese food by her own.Today she is learning to cook Kung Pao Chicken and Fish Flavored Shredded Pork, which makes her very excited.Clio’s cutting skill is very good and her first cooking, Kung Pao Chicken, is very successful. Aaron himself is a very experienced chef. So this time for him is much more like a cooking experience exchange party. We talked a lot and also shared a lot about cooking and travelling. I am very impressive on his personality and feel very grateful for his advice. 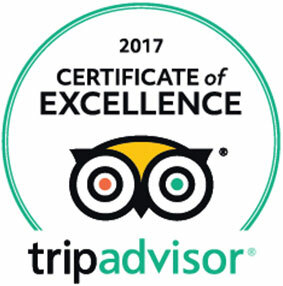 This time Clio and Aaron arranged a one month round China trip to deeply explore Chinese culture. During their journey, they captured all the interesting moments by video. They are planning to make a TV program by using those collected materials to let Americans to have a better understanding of China. Pretty cool! Thanks to Chengdu Cooking for giving us the opportunity to know each other. Hope that we can meet again, some day or somewhere around the world.